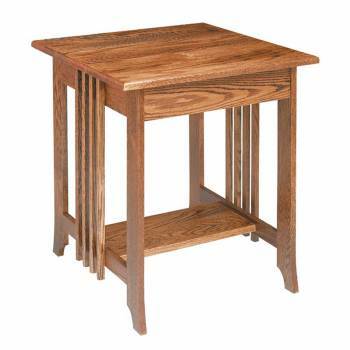 Mission End Table. You'll enjoy our mission styling, with its hand rubbed dark oak stain finish that brings out the beauty of the oak grain. Measures 24 1/2 in. high x 24 in. wide x 24 in. deep. Comes pre-assembled.